BMW's views of the future of car ownership influenced its decision to enter the car-sharing business. DriveNow estimates that an average car is used only about 4% of the time and with half the global population predicted to live in cities by 2050 and parking becoming ever more difficult, urban residents are increasingly looking for alternatives to ownership. Observing that in cities that have embraced car-sharing a single such vehicle has the potential to replace dozens of cars, the company determined it needed to be in the car-sharing sector. It also allows BMW to access customers it normally has trouble reaching, as the average age of the company's buyer is in their mid-40s but the average age of a car sharing user is 32. Younger generations are not as attached to car ownership and continue to make multi-modal choices in transportation.While in the past BMW Group was in the business of selling cars, by the year 2020 it has a vision to be the world's leading provider of premium vehicles and premium services for individual mobility – where cars are provided as a mobility service. 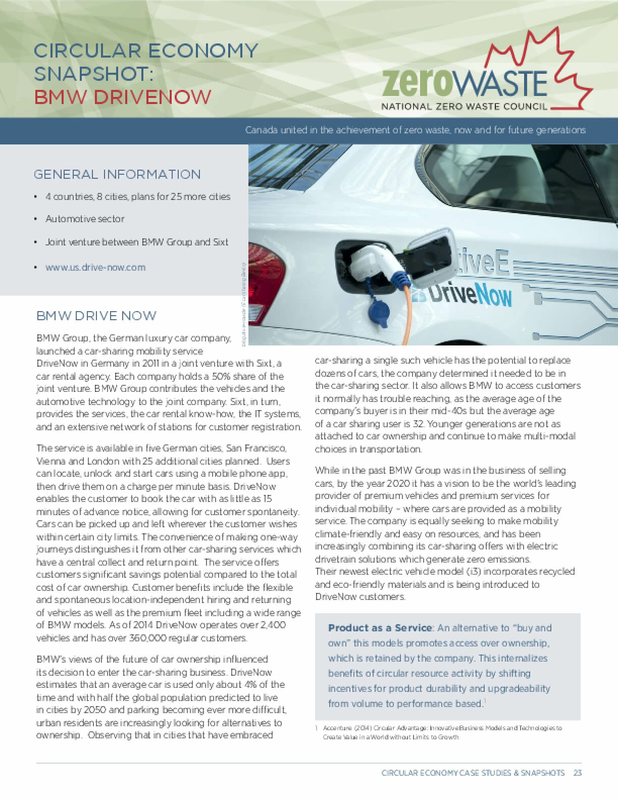 The company is equally seeking to make mobility climate-friendly and easy on resources, and has been increasingly combining its car-sharing offers with electric drivetrain solutions which generate zero emissions.Their newest electric vehicle model (i3) incorporates recycled and eco-friendly materials and is being introduced to DriveNow customers.